The limited space makes it unsuitable for children under 8. Bed linen is available at £10 per bed, per week payable on arrival. This property welcomes one medium sized dog only. 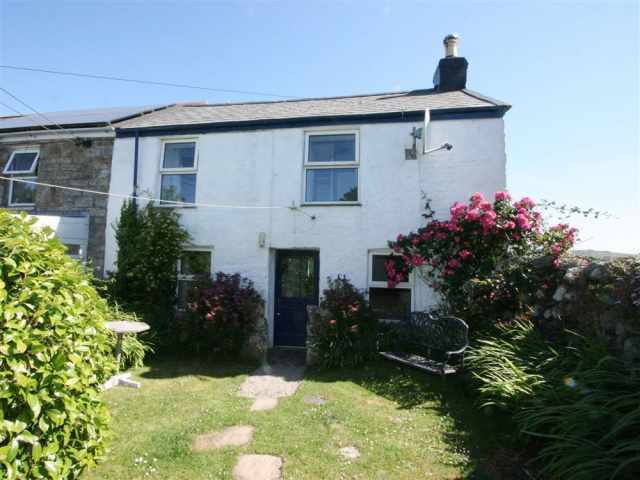 A quaint, semi-detached, Cornish granite cottage full of charm and character, just 2 miles from Lamorna Cove and just a few minutes drive from the famous open air Minack Theatre at Porthcurno. 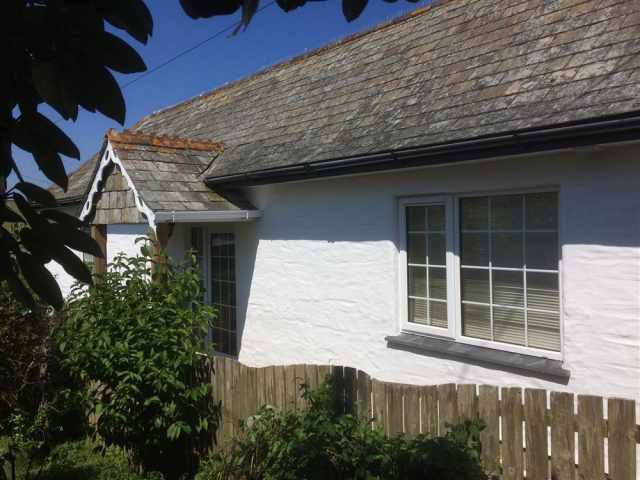 The little village of St Buryan is set in an area of outstanding natural beauty and can boast a historic 14th century church, popular village pub and two general stores. St Buryan is perfectly located for exploring some of West Cornwall's most beautiful spots. The small coastal village of Sennen with its famous cove and beach is just 5 miles away and pretty Lamorna Cove just 2 miles. You can't visit this part of the County without a trip to Lands' End and from Poldhu Cottage a short 15 minute drive will get you there. The front entrance is through a small walled patio garden with flowering shrubs and outdoor seating. From here the front door opens into a handy conservatory with an inner door leading into the low beamed sitting/dining room which is bursting with character. Exposed granite walls, small windows and an Inglenook fireplace are just some of the Cornish characteristics this property has to offer. There is a neatly fitted kitchen area also with low beams. At the rear of the cottage is a cloaks hall with adjacent bathroom W.C. with hand basin and shower over the bath. A rather steep and narrow carpeted staircase leads up from the sitting area to two double bedrooms on the first floor. The master bedroom is open to the landing with a 5ft king size bed, and the second smaller bedroom has a 4ft double bed. Due to the size and layout of the property it is unsuitable for children under the age of 8 and large dogs. Unrestricted parking is on the road outside the property.